Beauty unfolding before your eyes! *Winner 1st Prize of Applied Architecture and Design in the Cyclades Aegean Sea Region. *Winner International Awards for the Tourist, Hotel and Catering Industry. *Winner of European Mercury Award: "The Arch of Europe Gold Star for Excellence in Corporate Image and Quality". 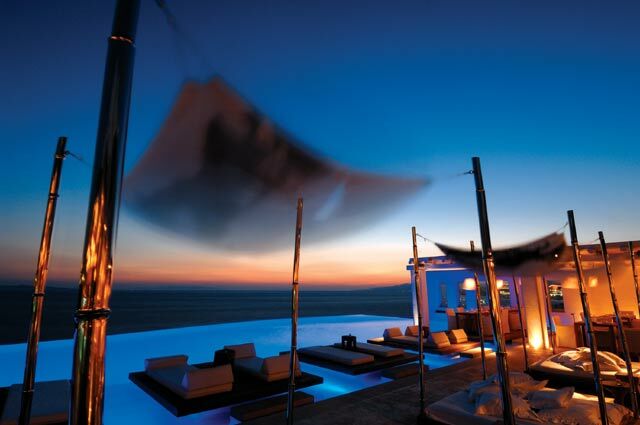 Cavo Tagoo is a unique 5 star luxury hotel just 600 meters from Chora that is built into a cliffside. With its luxurious barefoot chic aesthetic, its distinctive architecture, versatile services, and respect for traditional elements, Cavo Tagoo unfolds as an unparalleled experience to its guests. Featuring suites with private pools, a Spa Center, indoor heated pool, fitness center, stunning lounge and poolside bars, we excel at offering the complete island indulgence package. For our dedication to the highest standards of luxury we have become a proud member of Great Hotels of the World. 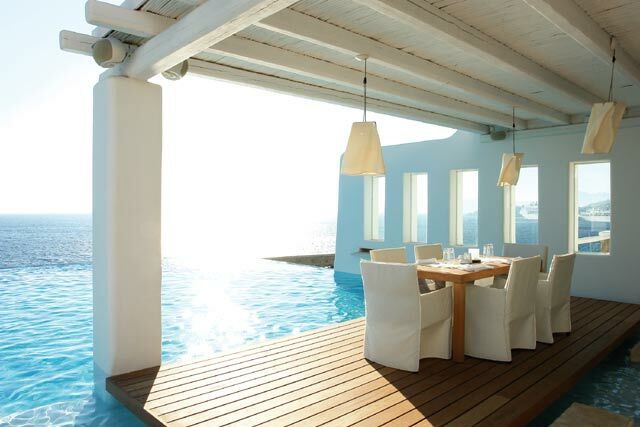 Relax, gaze out across our breathtaking panoramic view and soak up the jet-setting vibes of Mykonos. These are enduring memories in the making. We strive to be a canvas upon which our guests can color their island dreams. 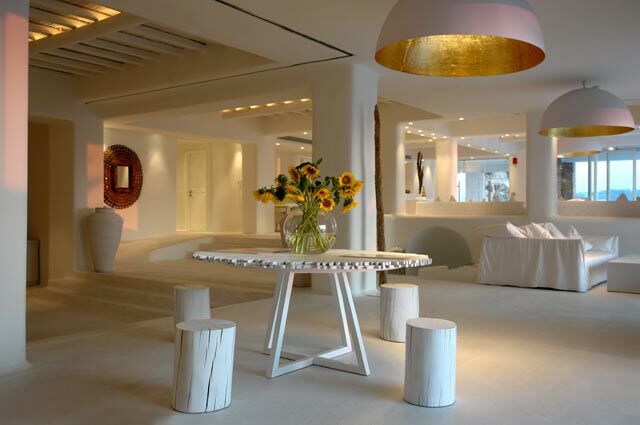 Our outstanding service and carefully crafted luxury that guests enjoy serve as accentuating elements with which to perfect their stay in Mykonos. The treasured memories of our guests are foremost in our cares and so we do our utmost to ensure your stay is fondly etched in your mind. We aim to be a cosmopolitan hotel and a destination for seekers of unique experiences from the world over. 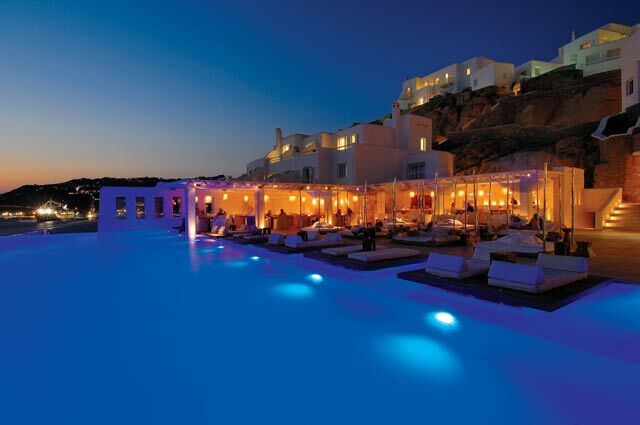 30 hotels in Greece and abroad. 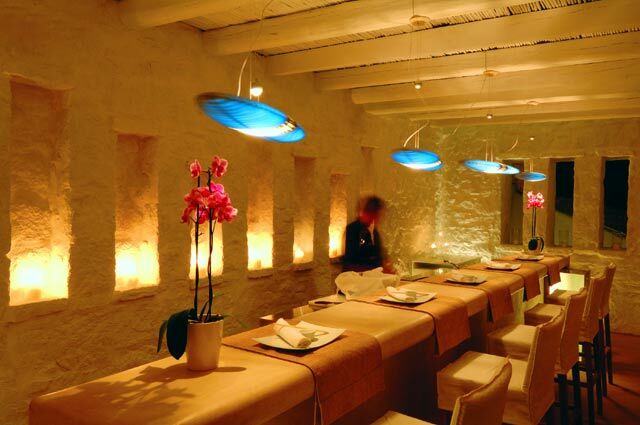 Mr Liakos has collaborated with Spiros & Chrysanthos Panas, owners of the most successful ?hip? bars & restaurants in Greece. The talented duo, together with Paris Liakos, have created an exciting, entirely new atmosphere that breathes fresh life into all of the hotel?s services, raising CAVO TAGOO into the privileged position of the definitive summer ?hot-spot? of Mykonos. 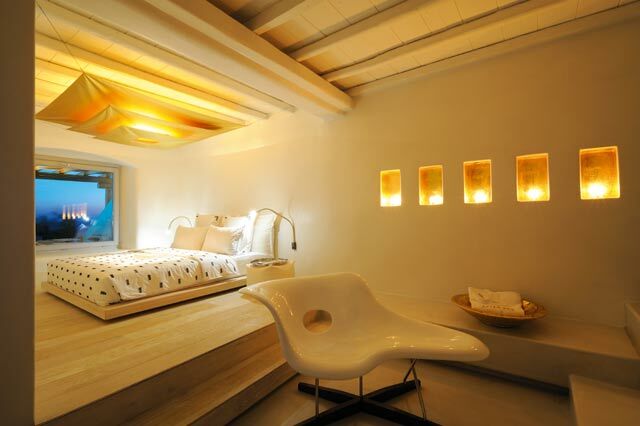 Cavo Tag?o?s complete renovation has achieved a beautiful balance of comfort, luxury, and style. All guest rooms and suites have been designed to embody a contemporary aesthetic while remaining true to the traditional character and architecture of the Cycladic Islands. 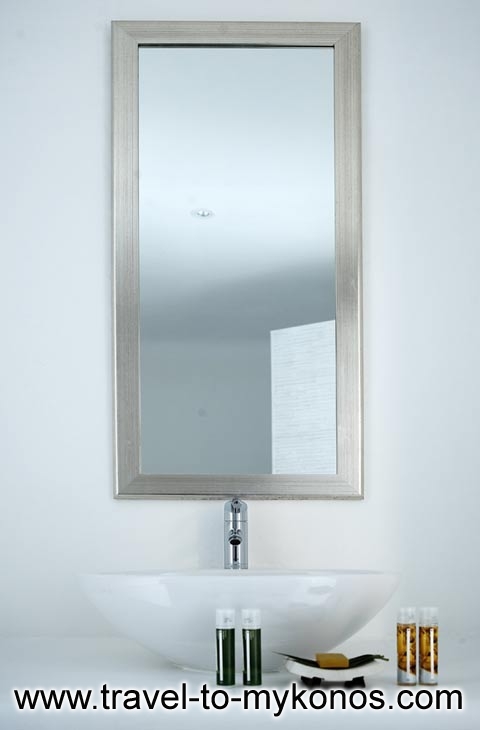 All modern amenities and conveniences are provided to ensure an experience of utter comfort in an elegantly minimalist and rustic setting, while excellent touches of luxury have been added such as Jacuzzi tubs and private pools. We offer 69 individually decorated and designed rooms and suites, each in a subtle blue, rose, or fuchsia, always enjoying boundless blue views. 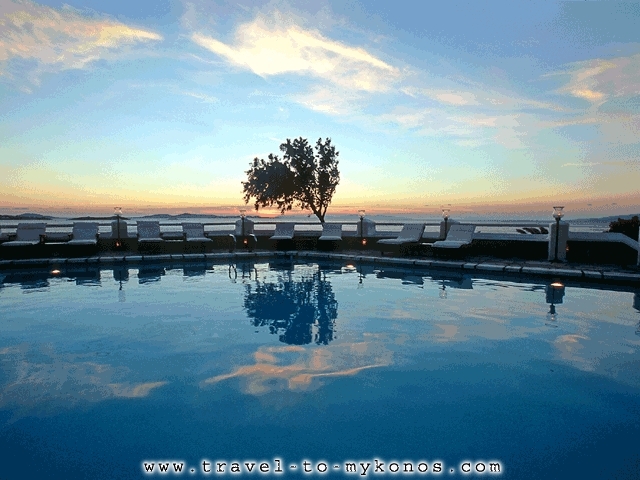 If you are familiar with CAVO TAGOO, please share your opinion of it with other travelers. Write a review!